The county seat of Cuyahoga County in the American state of Ohio, Cleveland, often nicknamed the “Forest City,” is home to several world-class sites and attractions, including the Rock and Roll Hall Fame. 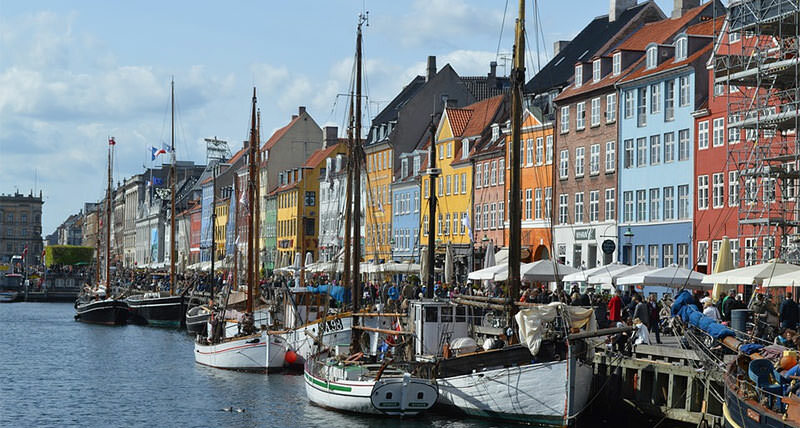 The city is also renowned as a first-rate party locale, home to an almost unbelievable number of bar, pubs, cocktail lounges and nightclubs. 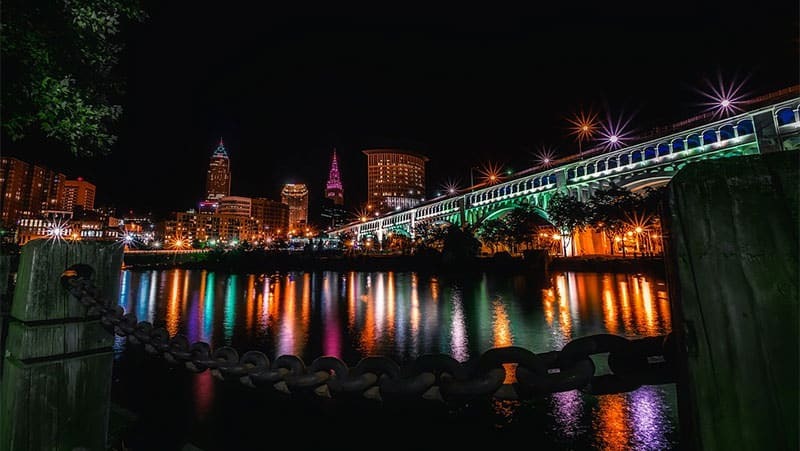 From neighborhood bars with great Happy Hours and friendly customers, to swanky piano lounges to pulsating clubs, the nightlife in Cleveland is simply off the hook, attracting thousands of people each night from within the city and beyond. In the following piece we have outlined and described several of Cleveland’s hottest bars and taverns, including their basic location, layout and décor, the atmosphere, genre and vibe of each club, and the terrific food and drink menu you’re likely to find at each. Cleveland’s Great Lake Brewing Company, located at 2516 Market Avenue, opened in 1988 under the leadership of owners Pat and Dan Conway. This brew pub, situated in a rather shady part of Cleveland, was the first craft brewery to open in the state of Ohio, and is also one of the most popular. As you might expect, the drink menu at the Great Lakes Brewing Company includes scores of microbrews on draft, and their food menu is designed to pair perfectly with the various draught selections. Some of the more popular drink choices in this well-visited brewery include their Dortmunder Gold and Christmas Ale; the latter served in November and December only. Positioned at 2373 Professor Avenue in Cleveland, Edison’s Pub is one of the favored destinations among the city’s younger working class and college crowd, boasting over 20 tap beers and the largest bottled beer selection in the city. The back bar is also stocked nicely with all the standard liquors and liqueurs. Edison’s Pub boasts a warm and cozy atmosphere and a sports-themed décor, with comfortable seating and several high definition televisions scattered throughout the space. Pool tables and a few arcade-style games are always occupied by happy revelers, and the large outdoor patio is a great place to hang out on those warm summer nights. Although there is no food service at Edison’s Pub, a pizza parlor, located directly next door to the bar, is always happy to deliver. Opened in 2014, the Platform Beer Company is one of the newest drinking locales on our list, and also one of the most popular. Located at 4125 Lorain Avenue, this oft-visited brew pub boasts over 40 house-made beers on tap, and an impressive selection of bottled beers. The bar also serves up a variety of cocktails, although beer and ale are definitely the most popular order here. Several of the Platform Beer Company’s concoctions recently earned gold medals at the Great American Beer Festival in Denver. The Platform Beer Company also hosts a full restaurant, with fare that includes burgers and a variety of hot and cold sandwiches. The bar is open 7 days a week from 11:00 AM until Midnight. Situated at 2167 Lee Road in the Cleveland Heights section of the city, Parnell’s Pub is an Irish-themed bar that specializes in a wide variety of draught beer and ales, the most popular being Guinness Ale. There is also a great selection of spirits, including over 20 varieties of Irish whiskey. The bar is small in size, yet huge in character, and the friendly bartenders will make you want to spend an entire afternoon or evening here. Parnell’s Pub features a long, straight bar that can accommodate roughly 25 patrons, and some sparse seating dispersed around the bar. Several televisions are usually tuned into soccer games from around the world, and the three dartboards see plenty of action. Parnell’s Pub is such a popular spot among Clevelanders that the owners recently opened up a second location in the Playhouse Square part of the city. For a more subdued and traditional lounge experience, you may want to head to the bar known as Nighttown, located at 12383 Cedar in Cleveland Heights. This nationally-recognized jazz and blues club, owned by the renowned Brendan Ring, has been luring Cleveland residents and tourists for decades and continues to be one of the most popular drinking venues in the city. At Nighttown, which feels more like a New Orleans club than a Cleveland locale, the bartenders are neatly dressed in ties and suspenders, and the cocktail menu is as unique as it is delicious, relying on only the best liquors and liqueurs and freshest ingredients. The dimly-lit club has an abundance of plush leather booths lining the walls, and a few larger tables for more sizeable groups. Nighttown features live jazz and blues music, performed by locals as well as some nationally known touring acts, six nights a week, and occasionally they hold an open mic jam session for up and coming musicians. What started as one of the best known hot dog diners in the Midwest has transformed into an ultra-popular bar and restaurant. Located at 5801 Detroit Avenue, the Happy Dog still specializes in over 50 different types of delicious hot dogs and sausages, but has recently added craft beer and live music to its repertoire, thus making it one of the hottest hotspots for Cleveland’s younger crowd. In addition to the great food and beer served up here, the Happy Dog has over 10 televisions on which to catch the big game, and several pinball machines that are always ringing and buzzing late into the night.